The advent of globally networked information is a historic change. Educational, commercial and industrial institutions depend on its effective exploitation for their success, but cultural and human factors are the biggest obstacles. This book looks at the roots of these problems and how they may be overcome, through understanding recent developments in technical services, the difference between service and technical orientation, organizational culture, the role of subject expertise and the cultural heritage of the information profession. The book provides guidance and outlines best practice in: managing converging technologies; supporting change with organizational models; using cultural audits; the role of focus groups in implementing change; characterizing a learning organization; succeeding as a change agent, and managing change through technical services. 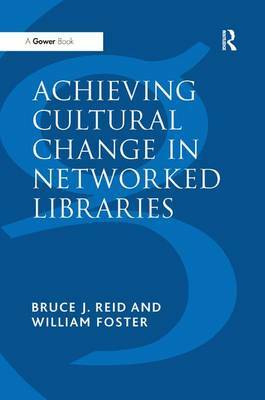 Several chapters discuss the Electronic Libraries programme and the TAPin (Training and Awareness Programme in networks) model as examples of how cultural change takes place, particularly in the academic environment; one chapter concentrates exclusively on the characteristics of special libraries. This illuminating insight into the evolution of information cultures and how they do or don't adapt to networked services will help information and library managers to achieve change with deeper understanding, and will provide useful advice for senior managers restructuring IT and information departments. The book is core reading for students of Information Studies.